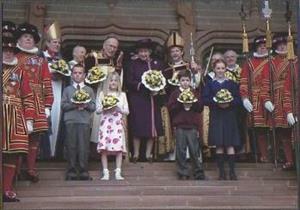 Queen Elizabeth 11 at the Royal Maundy service at Liverpool Cathedral in 2004. Photo is housed in a cardboard mount and contained within a plastic wallet. 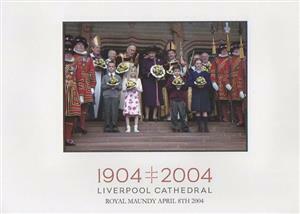 We have several copies of this photo available.